Youth basketball rules differ from official regulations used in high, college, and pro leagues. Unlike the more advanced leagues, there isn't a governing body that writes standardized youth rules. Typically, each league establishes its own rules and regulations to suit the gender, age, and ability levels of their players. The main goal of youth leagues is teaching basic fundamental skills to beginners. The emphasis is not on winning, but on learning. As you look through the rules, you'll see this philosophy reflected. Basketball rules for kids tend to favor the offense. 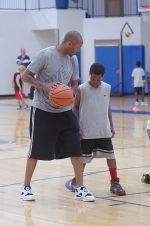 They help create an environment that allows young ball handlers to experience success and build confidence. Below, you'll find an extensive list of topics covered in the rules of most leagues. I've included general guidelines common to many leagues contrasted with actual rules used in my daughter's 5th-6th grade co-ed youth basketball league. For the most part, youth basketball rules follow those used by the National Federation of High School Basketball, with modifications to account for age. Youth basketball leagues usually accept players from 5-13 years of age. They catch kids after they begin elementary school, but before they start high school. Leagues are organized into different divisions by age group, and the groupings really depend on the number of players there are. Ideally, teams should be made up of players within 1-2 years of each other. But when enrollment is small, that's not always possible. No games will ever start more than 15 minutes early. Players are strongly recommended to arrive for games at least 20 minutes before game time. Youth leagues use a youth size basketball. Youth balls comes in sizes 4, 5, or 6 with circumferences of 25.5", 27.5", or 28.5", respectively. Refer to this basketball size chart to learn more. Many leagues play with the regulation 10' basketball goals, but for players under 8 years of age, the goal is lowered to 8-8.5'. Only one head coach and one assistant may sit on the bench. Players, coaches, parents and spectators are expected to show respect for one another. Keep all cheering in a positive manner and show good sportsmanship. Berating, fighting, foul language, and swearing is not allowed. Unsportsmanlike conduct of any kind is not tolerated whether during the game or afterward in the parking lot, etc. Violation of these rules for a player or coach results in a technical foul and possible suspension from the league with no refund. Abusive behavior from fans and parents on a particular team's sideline results in a bench technical which is charged to the coach. Any spectator or parent using foul language or determined to be acting inappropriately by officials or game administrators may be ejected. Multiple game suspensions could be imposed by the league administrator, depending on the severity of the situation and offense. There isn't a standard basketball court size for youth basketball leagues. Many times, the size of the court depends on the facilities that are available. The standard court used by the NCAA (94' x 50') and the court used by high school players (84' x 50') are really too big for youth basketball players. 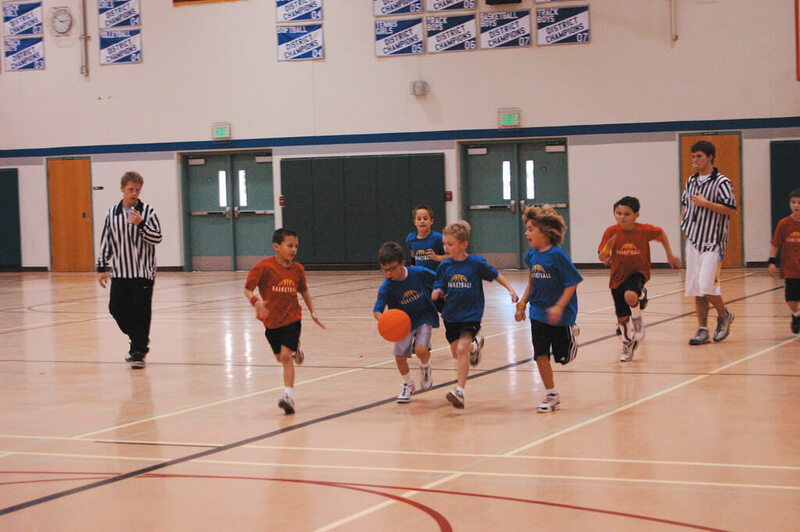 When a regulation-size basketball court is available, youth league games are often played from sideline to sideline on one half of the larger court. A smaller court is really important for young players so that fatigue doesn't become as much of a factor. A shorter court allows more actual playing time without losing so much time transitioning up and down the court. There are probably more youth basketball rules directed at defense than any other part of the game. The differences between leagues can be significant. Man-to-man defense is played so that players can learn the basic skills of individual and team defense. At the beginning of each quarter, the teams line up facing each other at half-court and identify the players they will be matched up against. The two players who will be guarding each other are given wristbands of the same color to wear so that they can keep up with each other. Stealing the ball is allowed once it passes half-court, but shot blocking is not allowed. If a player takes a shot, the defender is allowed to stand with arms extended straight up in the air, but she cannot jump up or swat at the ball. Teams are not allowed to pressure the ball full-court. After a made shot, a turnover, or a rebound, teams have to drop back to half-court and allow the ball to be dribbled down without pressure. Once the ball crosses half-court, the defense can guard the ball. For the younger age groups (up to 4th grade), it's a good idea to limit the amount of full-court pressing. Man-to-Man defense should be played for the first 3 quarters. In the 4th quarter, teams may press or use any kind of defense they want. A team that's ahead by 10 points may not full-court press to extend their lead, but they may use any other type of half-court defense. To expose and prepare young players with the knowledge of how to run and break a press in their future seasons. Extending the team's lead and "blowing the other team out" is not the intention. It allows every team a chance to get back in the game. Officials want to avoid injury to young kids, and they discourage rough play by blowing their whistles at the smallest physical contact. Even though basketball is considered a contact sport, young players are not big enough, strong enough, or mature enough to handle the kind of contact that occurs at higher competitive levels. A player fouls out of the game when he's called for a 5th personal foul. Penalty free throws are awarded on the 7th team foul during each half. If a team commits 10 personal fouls in a half, the opposing team is awarded an automatic 2 free throws on each subsequent foul. Technical fouls count as a personal foul, a technical foul, and a team foul. All technical fouls result in 2 shots and possession of the ball in bounds. If a player or coach receives 2 technical fouls in any one game, they're ejected from the game and must leave the gym immediately. The free throw distance for young players (up to 4th grade) is flexible. Coaches should have players shoot from the maximum distance at which they can shoot a free throw with good form. 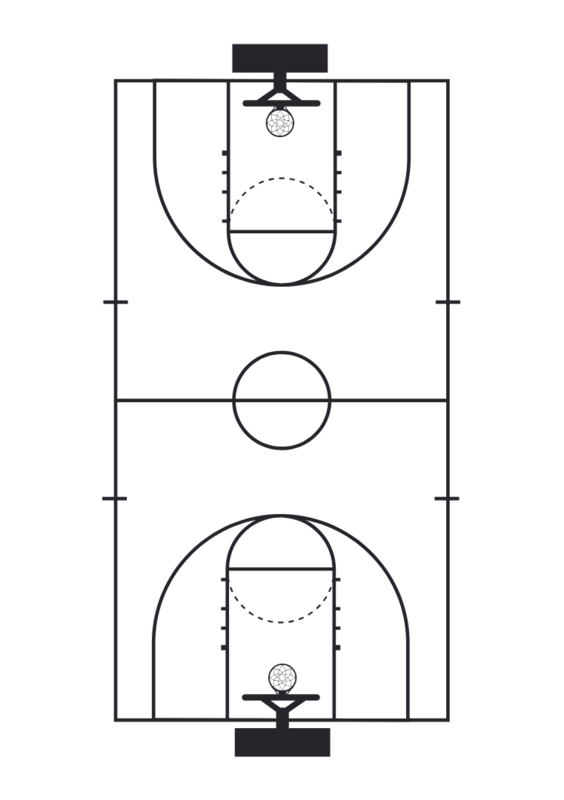 In some leagues, players shoot from the regulation 15-foot free throw line, but in other leagues a line is marked on the floor about 2 feet closer. Free throws are usually only awarded for fouls that occur during the act of shooting. Typically, there are no bonus free throws or 1 & 1s. Sometimes, the clock stops while shooting free throws, but not always. Free throws can really eat up the clock. Four 8-minute quarters are common for a youth league game. Each quarter is 10 minutes in length with 1 minute between quarters. There's a 5-minute half-time period after the 2nd quarter. To speed up the game, the game clock runs continuously and only stops at the end of each quarter, during timeouts, and for designated group substitutions. Under 10 years of age, it's not uncommon for teams to be co-ed (boys and girls together on one team). After about the age of 10, leagues are usually separated into boy's and girl's divisions. Sometimes, there aren't enough girls that sign up to field a girls division, so boys and girls are mixed together. What do those Basketball Terms Mean?